Growing up in a family split in their religious beliefs, Alexander Samedov decided he would live his life in his own way and on his own terms. Until trouble came and he was left searching for answers. 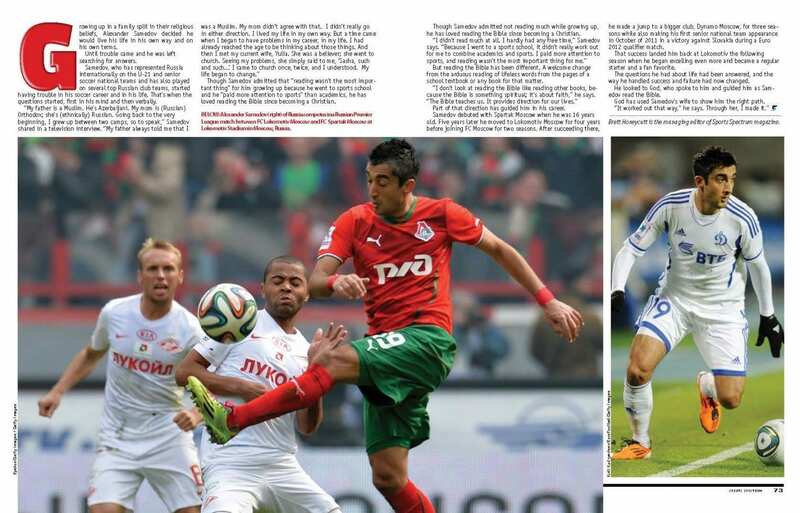 Samedov, who has represented Russia internationally on the U-21 and senior soccer national teams and has also played on several top Russian club teams, started having trouble in his soccer career and in his life. That’s when the questions started, first in his mind and then verbally. Though Samedov admitted that “reading wasn’t the most important thing” for him growing up because he went to sports school and he “paid more attention to sports” than academics, he has loved reading the Bible since becoming a Christian. Though Samedov admitted not reading much while growing up, he has loved reading the Bible since becoming a Christian. But reading the Bible has been different. A welcome change from the arduous reading of lifeless words from the pages of a school textbook or any book for that matter. Part of that direction has guided him in his career. Samedov debuted with Spartak Moscow when he was 16 years old. Five years later he moved to Lokomotiv Moscow for four years before joining FC Moscow for two seasons. After succeeding there, he made a jump to a bigger club, Dynamo Moscow, for three seasons while also making his first senior national team appearance in October of 2011 in a victory against Slovakia during a Euro 2012 qualifier match. That success landed him back at Lokomotiv the following season when he began excelling even more and became a regular starter and a fan favorite. The questions he had about life had been answered, and the way he handled success and failure had now changed. He looked to God, who spoke to him and guided him as Samedov read the Bible. God has used Samedov’s wife to show him the right path. 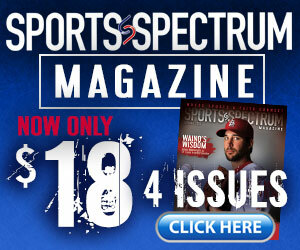 Brett Honeycutt is the managing editor of Sports Spectrum magazine.